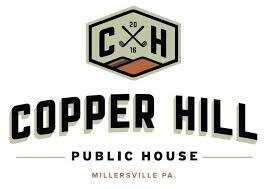 Don’t miss the next Penn Manor Alumni Association Social at Copper Hill Public House at Crossgates. Mark your calendars now for this fun evening! This is the perfect time to try a great restaurant, owned by Penn Manor grads, and meet and mingle with Penn Manor alums from all years. Which class will have the most attendees? Totally casual and just for fun!! Drop in and see some old friends and make some new ones. Enjoy complimentary appetizers, while they last!